Did you buy a new MTN Sim card and must have registered it before now, but it seems not to be working in the aspect of call making. Have you try calling the MTN customer care but they never picked up due to so many other callers before you. Or the sim was normal before now, but suddenly changed to what you don't understand, probably not allowing you to do some things like; browsing, checking of airtime balance, borrowing of credit or recharging through your bank account. You can actually do one thing to know where the problem is coming from, and that is, checking the sim card Registration STATUS. The registration status will let you know whether, the problem is because, you've not registered your sim or it was deactivated for you to go and re-register again. 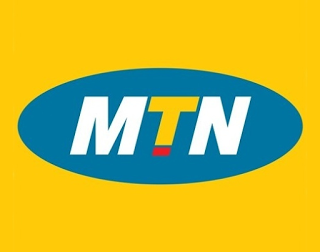 Why I suggested the problem could be from sim registration is because, without registering your sim, you cannot be allowed or accessed to enjoy they services MTN renders to Registered customers. √ READ ALSO: How To Check The Status Of Your Glo SIM Registration. Note: Make sure the keyword is written with capital letter. And also, the SMS is free of charge, so nothing will be charged for checking your sim registration status. After sending, MTN will reply in few minutes time, letting you know the status of your SIM card, whether it is registered or not. Got contribution, kindly use the comment box below.